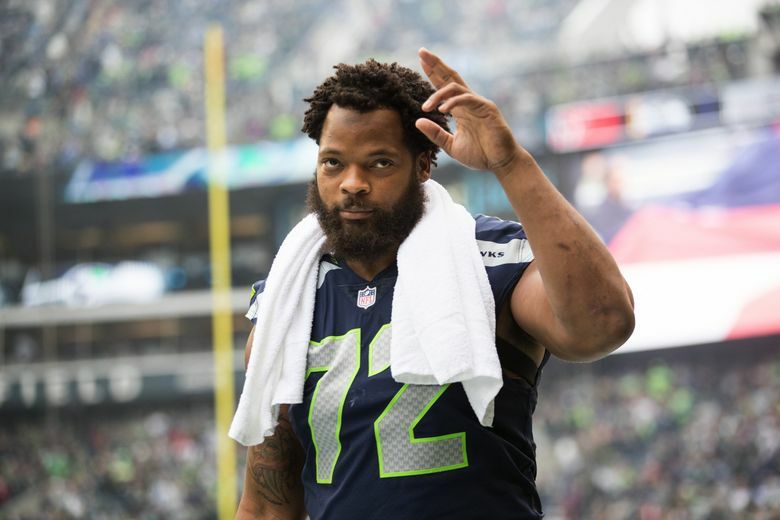 The Seahawks' long-rumored offseason of change began in earnest Wednesday, as team sources confirmed reports Michael Bennett had been dealt to Super Bowl champion Philadelphia. The Seahawks’ long-rumored offseason of change began in earnest Wednesday when they traded defensive end Michael Bennett and a seventh-round draft pick to the Philadelphia Eagles for a fifth-round pick and receiver Marcus Johnson. The Seahawks had no immediate confirmation of the trade, as the move cannot become official until March 14, when the NFL’s new league year begins. But Bennett later confirmed the deal, posting a picture of himself in an Eagles jersey on Twitter, and later a Thank You message to Seattle, as well as a lengthy goodbye note on Instagram. ESPN and NFL Network originally reported the deal. The Seahawks were rumored to be shopping Bennett for a week or so as they look to make over their team following a 9-7 season in 2017. They missed the playoffs for the first time since 2011. General manager John Schneider confirmed that the roster could be in for a heavy face lift when he said last week at the NFL combine that they had no untouchables. The first domino to fall is Bennett, whose arrival in 2013 as a free agent helped set the stage for the Seahawks’ only Super Bowl victory. Bennett immediately became the heart and soul of the defensive line, making the Pro Bowl each of the past three years and earning two significant contracts. But Bennett, who will turn 33 in November, has battled a succession of injuries the past few seasons, playing through foot and knee issues in 2017 and missing five games due to arthroscopic knee surgery. It’s thought that the team was worried his play had begun to decline. 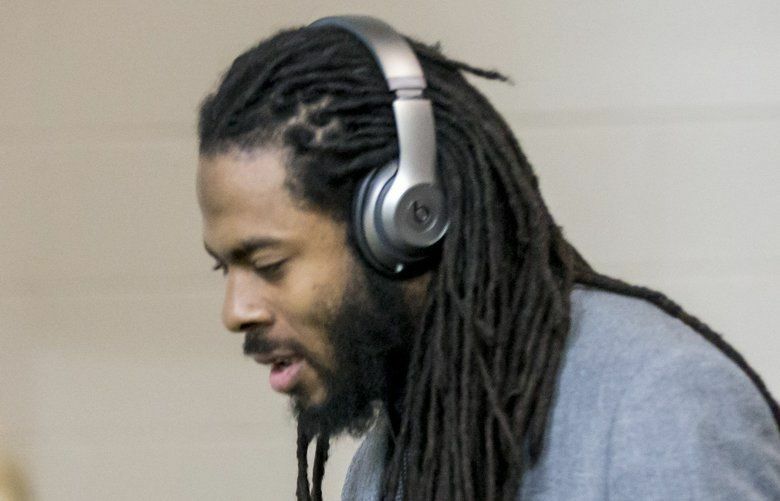 Bennett has also long been one of the most influential voices in the Seahawks’ locker room, and they are thought to prefer to shift the defensive leadership to other players, such as middle linebacker Bobby Wagner. Bennett has three years remaining on his contract, and the Seahawks will save $2.2 million against the salary cap in 2018 with his departure. Johnson, in his second year out of Texas, caught five passes last season for the Eagles. He did not play in the playoffs as the Eagles went on to win the Super Bowl. He ran a reported 4.42 40-yard dash coming out of the University of Texas. The Seahawks undoubtedly were looking to add a speedy receiver with the possibility that Paul Richardson — who will be a free agent March 14 — may not return. Johnson’s speed could also draw value on special teams, with Seattle maybe looking at him as the kind of impact player on the outside of coverage units that Ricardo Lockette was before his career ended in 2015. Bennett was due a reported $3 million roster bonus March 18, so it was clear something would have to happen soon. He started the speculation that the 2017 season might be his last in Seattle when he mentioned several times that he had an uncertain future with the Seahawks. Seattle can clear roughly $14 million against the salary cap for the 2019-20 seasons with the trade of Bennett, money it could use to extend the contract of free safety Earl Thomas and others. The Seahawks also will save about $21 million in cash payouts to Bennett for the final three years of his career. The trade of Bennett will end one of the most interesting careers in team history. Actually, Bennett had two Seahawks careers, having been initially signed by the team in 2009 as an undrafted free agent out of Texas A&M before being released. He then went to Tampa Bay and played four seasons there before returning in 2013 on a one-year contract. After helping lead Seattle to the Super Bowl title in 2013 when he played the most snaps of any defensive lineman, he signed a four-year deal to stay with the Seahawks through 2017. He then signed an extension in December 2016, saying he hoped to retire in Seattle. Along the way he earned a reputation as one of the team’s best players — his 39 sacks are fifth in team history — and one of its most interesting, unafraid to do or say anything. 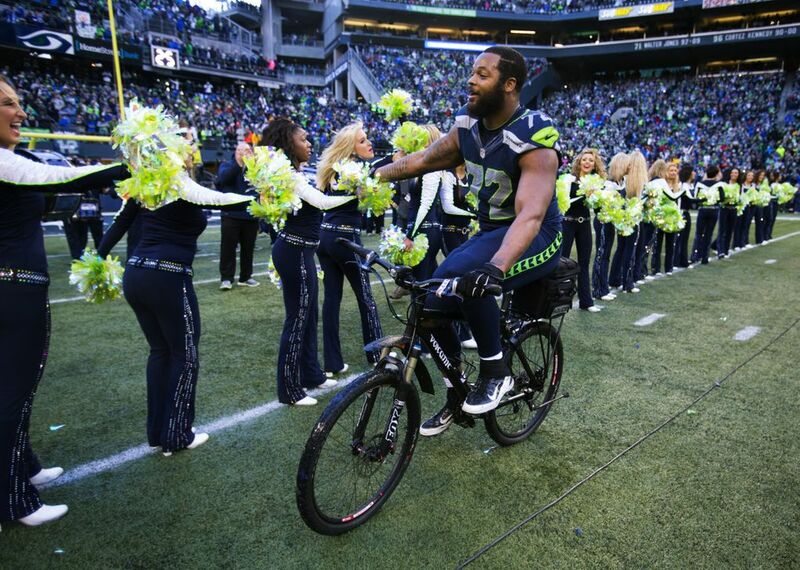 An indelible image of Seattle’s 2015 NFC Championship Game win over Green Bay came when Bennett grabbed a bicycle belonging to a Seattle police officer afterward and rode it around CenturyLink Field in celebration (the bike was later auctioned off for charity). 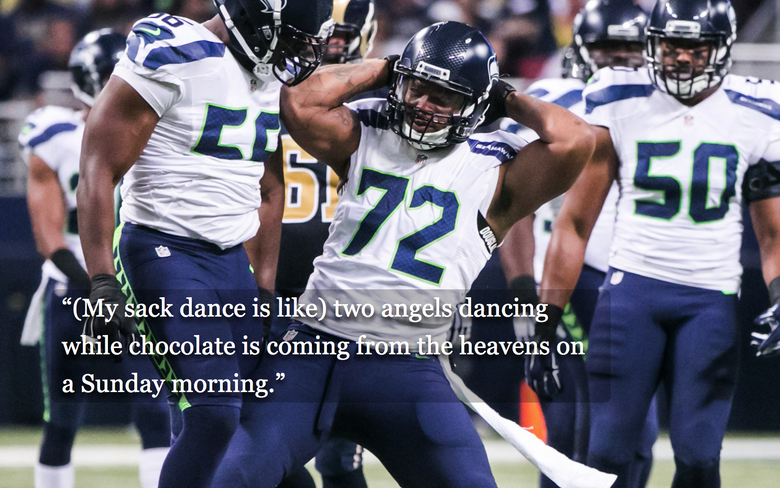 He seemed to have a quote for every occasion (more than a few NSFW), such as when he once said Russell Wilson was so popular in Seattle that when he was pulled over, the cop got a ticket instead. Bennett also became increasingly involved in social issues the past few years and began sitting during the national anthem in 2017 with many defensive linemen joining him in solidarity. He also accused Las Vegas police of racial profiling and excessive force when he was questioned in August after police searched a casino for an active shooter the night of the Floyd Mayweather-Conor McGregor fight. Carroll said after the season he had no question that what Bennett went through in 2017 off the field likely impacted his play on the field. Bennett also seemed to draw the ire of Carroll for a few on-field incidents. notably when his diving at the center snap for the ball late in a loss at Jacksonville helped incite a few fights and ejections. Carroll defended Bennett for trying to swipe the snap but said he was out of line for diving at the knees of Jacksonville center Brandon Linder. And now, Bennett’s Seattle career is merely history.